The new Osprey Black 4GEE Mobile WiFi is free on plans from £15 per month (24 Months), perfect if you want to get online whenever you want, without having to hunt around for public WiFi. No matter how hectic your life, it’s small and sturdy enough to take along for the ride. Use 4G out and about with your mates for up to 6 hours. You can connect up to 10 devices for sharing, gaming and movie streaming – and even experience superfast connectivity with double speed 4G. You’re always in control of what you’re spending because when your data expires, it’s quick and easy to buy a new data add-on and there’s a wide choice of allowances. We also send you data reminders on all plans so you know what you’re using. 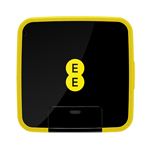 Free on plans for £15 per month (24 Months).